Nuvolution believes in supporting the communities where we work, live, and play. We are located in District 8 and are excited to host a Town Hall Meeting allowing us to hear from the local candidates and explore ways we may align. 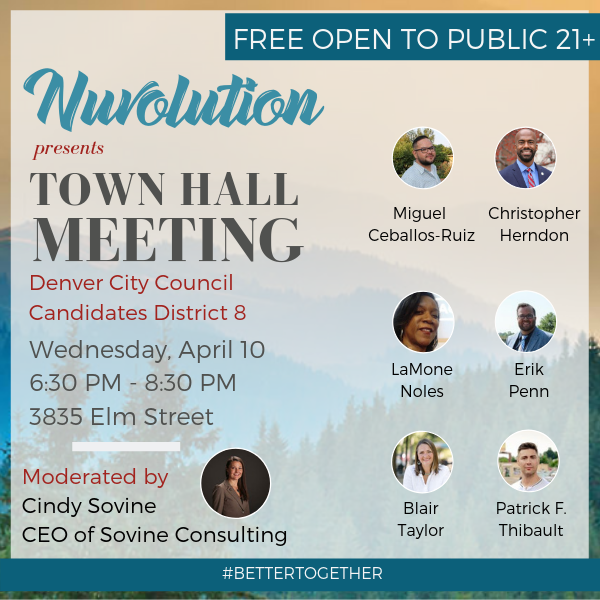 All candidates have been invited to share their vision for supporting and representing District 8 as Denver City Council Candidates. 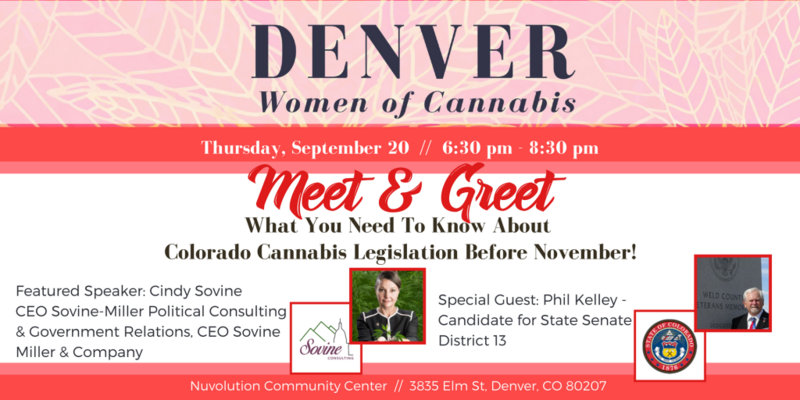 Cindy Sovine – CEO of Sovine Consulting will moderate. Space is limited. Please click HERE to pre-register on Eventbrite. Contact hello@nuvolution.org for sponsorship information.